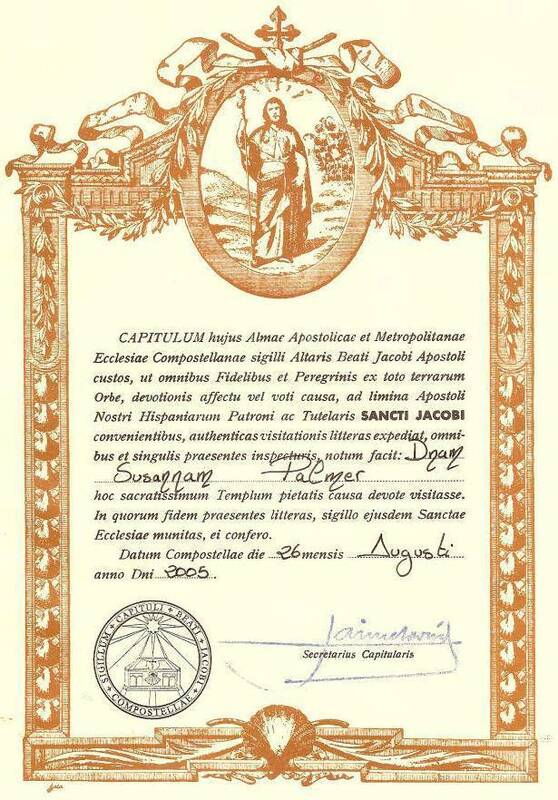 The compostela certificate is awarded to all pilgrims who have walked the last 100 km to Santiago, or cycled or ridden on horse back for the last 200 km and state they travelled for religious or spiritual reasons. 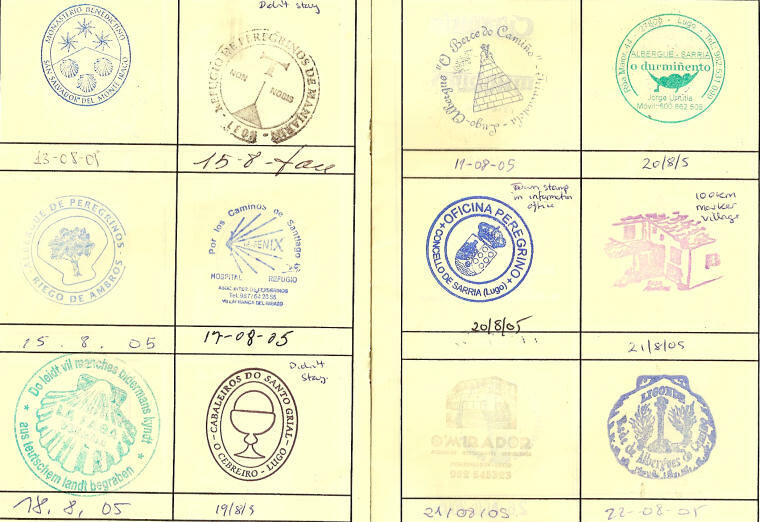 Each night you obtain a stamp in the pilgrim's passport to prove you have travelled along the route. 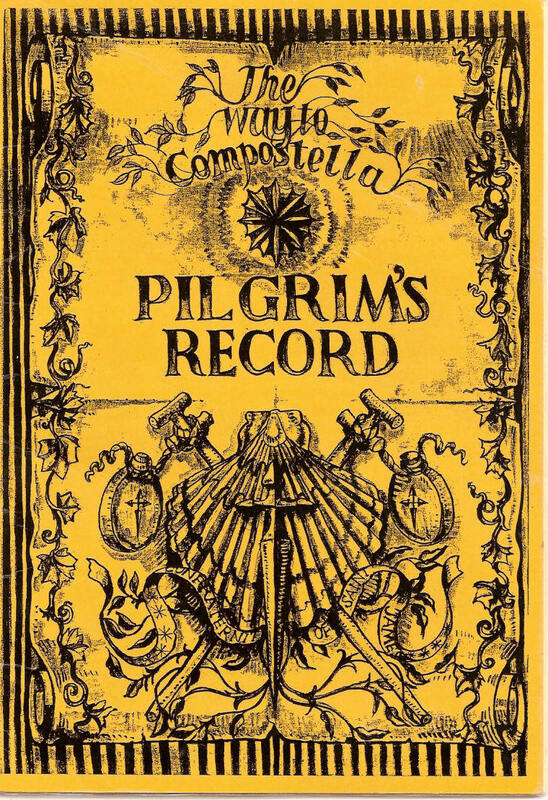 The pilgrim's passports are available at most major albergues along the route, but I had joined the Confraternity of Saint James in London before leaving, and so obtained my passport from them before starting out. 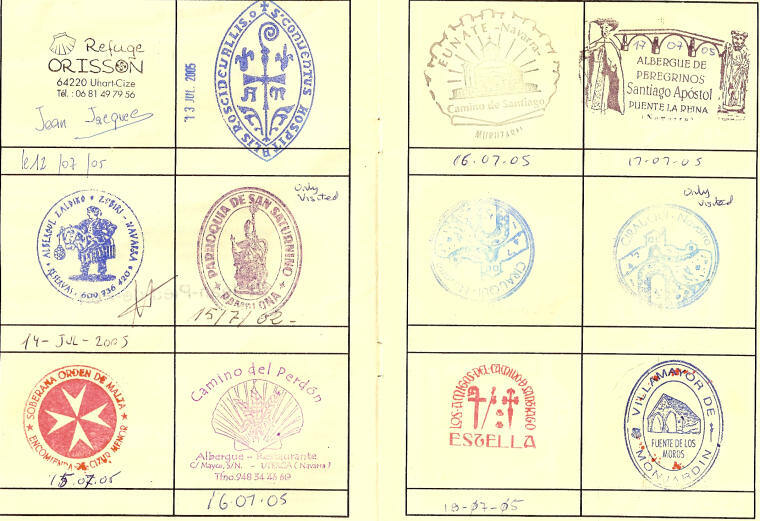 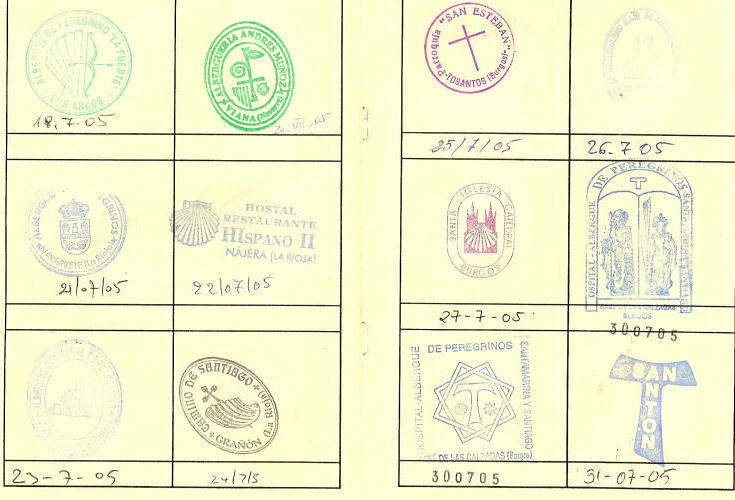 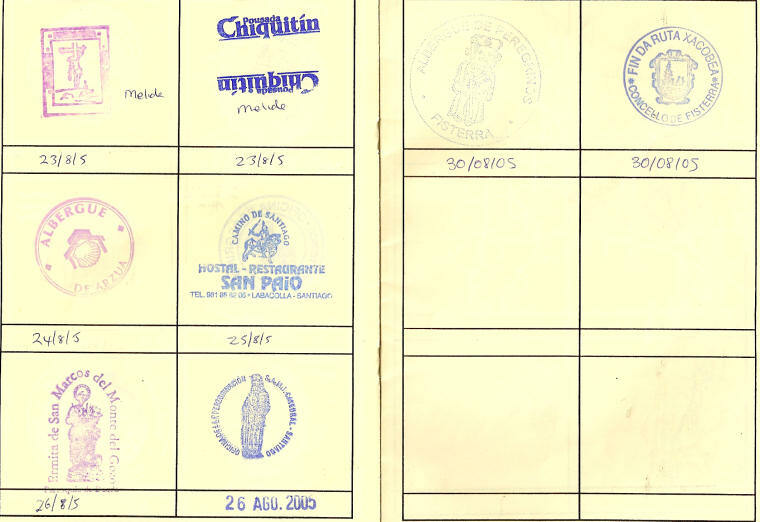 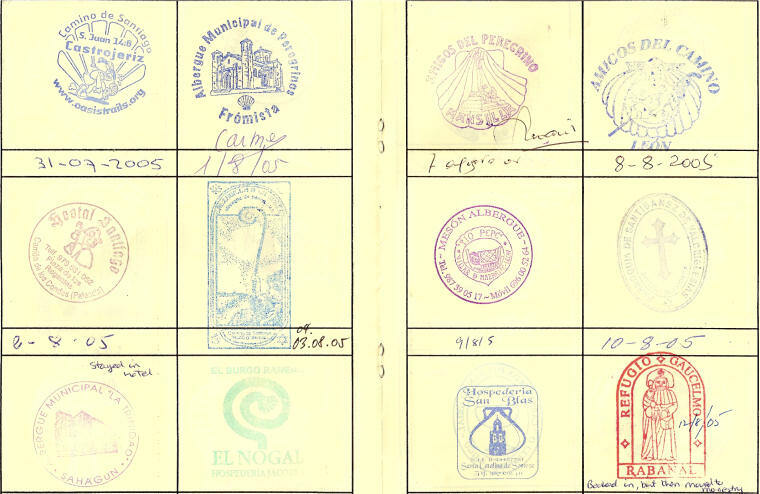 Below is my compostela certificate (in Latin) and further down my pilgrim's passport and stamps obtained on route.